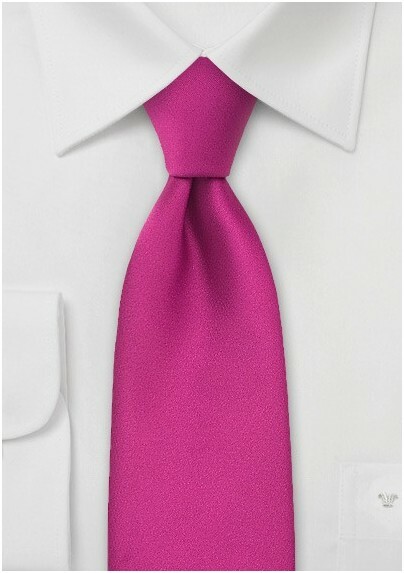 If s rose-pink tie is not bright enough, then this hot magenta-pink necktie will sure be pleasing to your eyes. It is a perfect tie for style-seeking businessman during the spring and summer months. 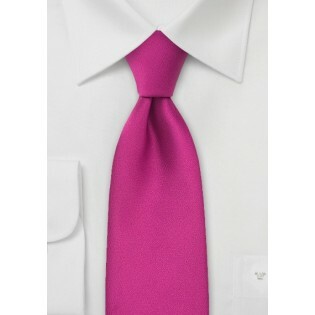 It is also a popular necktie worn by groomsmen during spring and summer weddings. To match this tie we suggest suits in navy or gray. One of our favorite ways to showcase this tie: Midnight blue suit, solid white shirt, this bright pink tie, and a matching magenta pink pocket square. Made by Puccini from care-free microfiber.